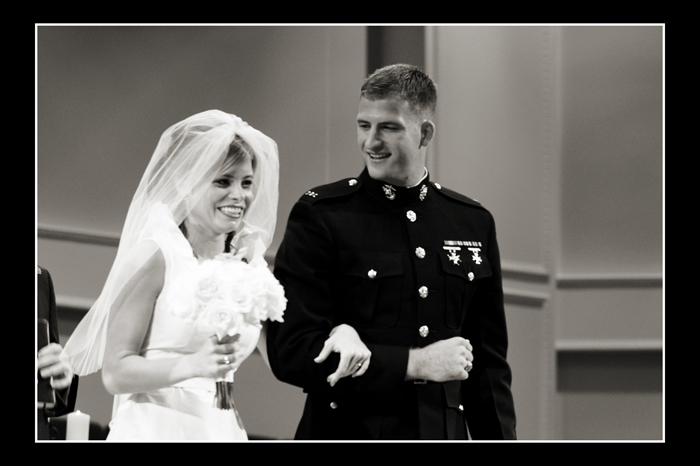 Texas Heart is the story of how I met and married my husband, Grant. Our story is entitled Texas Heart because my husband is from the big state of Texas and has a heart to match. 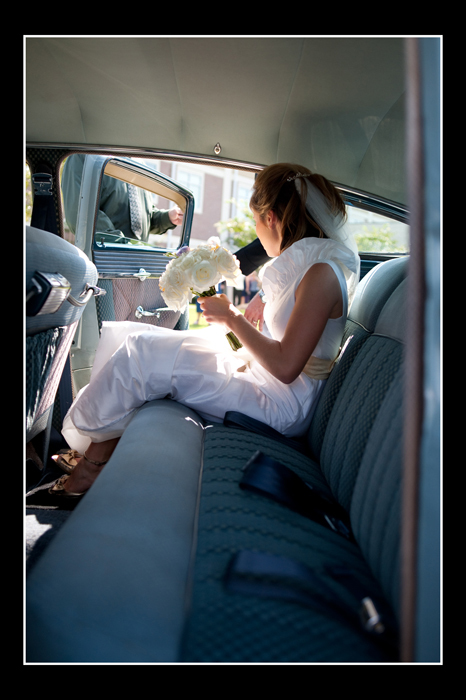 I grasped my husband’s hand as we got into the antique car that was waiting for us outside the church to take us to the reception. Grant closed the heavy door and leaned in to kiss me. I still couldn’t believe we were married. I never imagined it would be him. I mean, I never knew that it was Grant that God had for me. If I had only known, it would have saved so much worry! It was only two years before that I had spent the summer on a “Summer Project” with Cru in Santa Cruz, California. One particular morning, I was walking along the breathtaking California coastline with my Bible study leader, Hannah. As we walked and talked, our conversation turned toward Clemson. Hannah had attended Clemson too and she started asking me why I wasn’t dating anyone. “Okay, well what about so-and-so?” She continued as she named off another friend. She continued on through a list of different godly guys that we both knew. I hope you’re right, I remember saying. Grant put his arm around me in the backseat of the car. Now it was all a reality. God had been calling me to wait for His perfect timing. All along, He had Grant in mind for me. And now I was Mrs. Castleberry. I remembered the first time I had said Grant’s last name aloud when I was vacationing with my family at Fripp Island. I had loved the way his name rolled off my tongue. It was different and it had a masculine and yet feminine sound to it. I liked it. Now it was my own. As the old car pulled into Pinckney Retreat, I looked out the window. I couldn’t believe how beautiful everything looked. 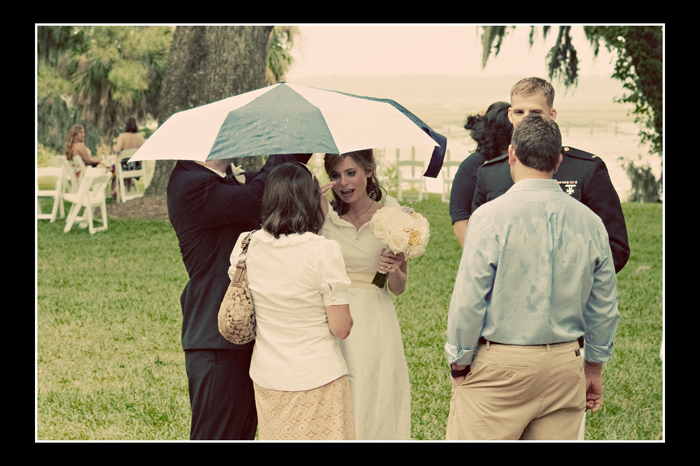 Grant and I mingled with our guests under the canopy of live oak trees. We tried to talk to everyone. We felt so overwhelmed with gratitude to our friends and family who had come to celebrate with us. Grant’s Grammie who was suffering from cancer had come all the way from Texas. My entire Duke Bible study had driven down from North Carolina. Grant’s friends, the Leonards, had driven up from Florida. Some of my Clemson friends had made the drive down from the upstate. A group of Grant’s Texas Aggie buddies had flown in for the weekend. And then their were our Beaufort friends who were there but they were serving. 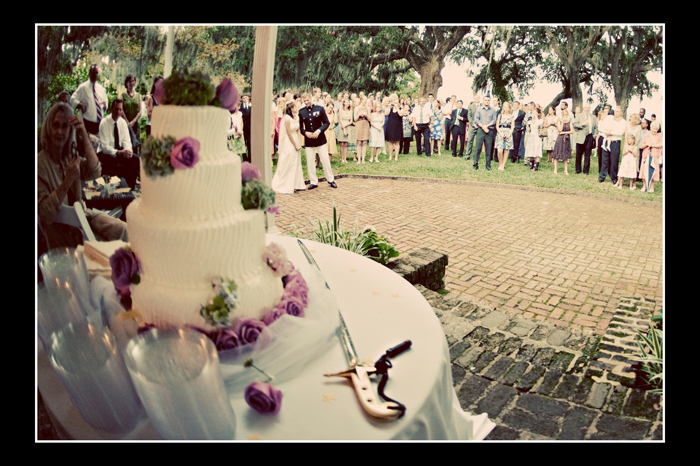 They had spent days planning just so that we could enjoy this special time – friends like the Gays who headed up the Lowcountry food, and my friend Kelly who put together the flowers, and Casey who played Josh Turner, George Strait, and old hymns on his guitar during the reception. Everything was just perfect, and then I felt the drops of rain. I had prayed so hard for God to give us beautiful weather on our wedding day. After all, it’s what every bride wants. When I first felt the raindrops, I was talking to someone. I tried to keep talking and ignore the wetness I was beginning to feel pattering on my arms. Perhaps if I ignored the raindrops then they wouldn’t really be real? 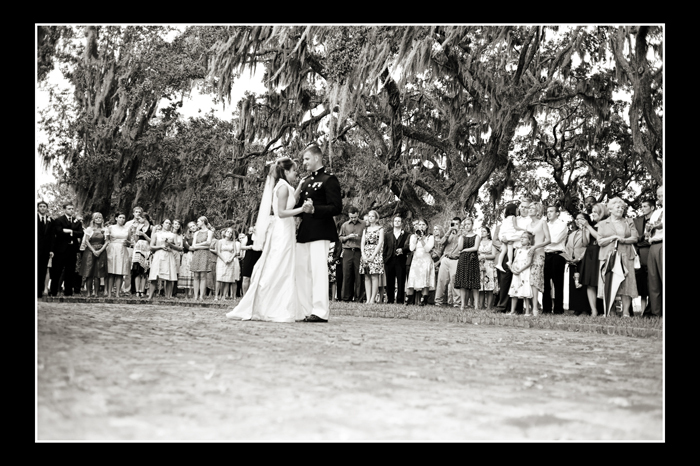 I watched out of the corner of my eye as guests began to gather underneath the giant live oak trees and the white tents. Oh no! How is this happening? I thought frantically. Everything will be ruined! Then I saw my brother, Grant, walk toward me. He was holding a giant umbrella. He came and stood next to me as if nothing odd was happening. He didn’t say a word. As he stood next to me, I suddenly realized that everything was going to be okay. I was married. The day had been wonderful and the rain couldn’t change that. There was nothing to worry about. As the rain fell, it brought something unexpected. It brought a cooling breeze that drove away the August heat and made everything feel more pleasant. And just as soon as the rain had arrived, it was gone. My dad’s voice gathered everyone around the old porch of the Pinckney Retreat home. He thanked everyone for coming and then announced that there were some people who wanted to share a few words. To my surprise, all four of my brothers gave speeches. They shared childhood stories of us growing up together. They made jokes about my new husband. They made me laugh hysterically and they made me cry. I felt like I was constantly switching between smiles and tears. 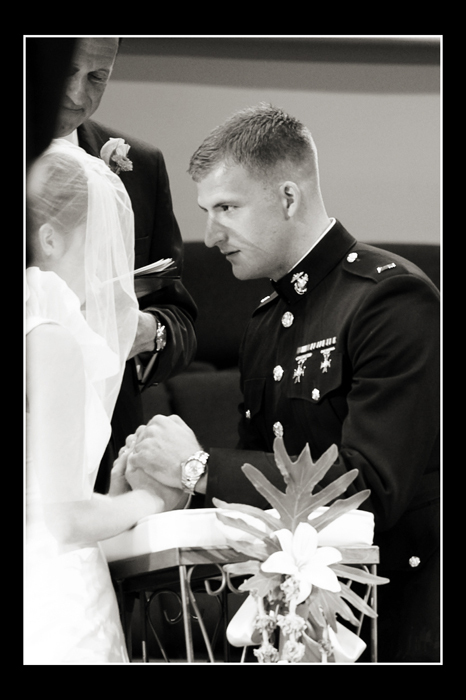 I was crying not just because it was so special that they were sharing, but also because I couldn’t believe I married a guy that was like them in so many ways. When the speeches were over, Grant took my hand and led me to the dance floor for our first dance. Tis’ So Sweet to Trust in Jesus began to play as Grant started dancing with me. He gently led me as we moved across the old cobblestone bricks. I felt a little uncomfortable knowing that everyone was staring at us, but Grant didn’t seem to mind. He held me gently, yet firmly. “Just follow my lead,” he reminded me. Dancing came so naturally to him and soon I began to relax as I remembered to just follow him. As we danced, I realized that this was the beginning of so many things. This day was not the “end” of me trusting the Lord. Grant was not my ultimate goal that I had spent my whole life waiting for or the one who I had placed my hope in. Yes, God had been abundantly good in bringing Grant into my life. But this was just one of many lessons. Just as God had called me to trust Him in the area of a future husband, He would call me to trust Him every day for the rest of my life. This day would be a day that I could look back on and remember God’s faithfulness. It would be a monument in my life that I could call to mind when I needed to remind myself that the God who I follow is a God who takes notice of everything. He is a God who cares. He is a God who is concerned about His glory. This day was just one day in the story that God had been weaving all along. I would have never known so long ago when I had first seen Grant’s photograph in the radio station, that the little blonde headed boy in the picture would one day be my husband. 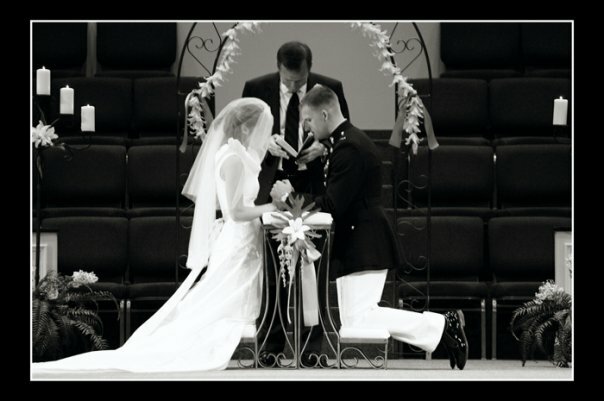 I would have never known that I would marry a Texas Aggie and a Marine Officer. I would have never known that a plane crash that happened when I was just a year old would affect me so greatly and that it would be the factor that brought Grant to visit Beaufort when he was in high school. I didn’t know the big picture. And while I was beginning to see things that I hadn’t seen before, this was only the start. “GraceAnna, look!” My mom came up to me sometime after we had cut the cake. I turned in the direction that she was pointing, and there, arching over the salt marsh, was a rainbow. Grant came up behind me and grabbed my hand. We headed toward the water’s edge where everyone was gathering to admire the giant bow in the sky. I didn’t notice at first, but then I realized it was a double rainbow. Grant, I can’t believe God gave us a rainbow! A double rainbow! My heart filled with joy. I thought about the very first rainbow that we know of which is recorded in the book of Genesis. It appeared after God’s worldwide judgment of sin. The earth must have felt so barren and so different after the flood. But as Noah and his family stepped off the ark, they were greeted with a bow of colors in the sky. God was revealing to Noah and his family something about who He was. He was showing them that even in the cloud, He is there. That though the rains may come as a result of our sinful and broken world, He promises grace to those who belong to Him. I hadn’t wanted it to rain that day. But now I realized why God had brought the rain. He was demonstrating that the way He does things is often the opposite way that we think they should happen. That He so often allows the rain, so that He can show us His glory and His grace in a way that we would have never seen it before. My eyes filled with tears. I felt like this rainbow was God’s special wedding gift to us. I felt like God was teaching me a lesson about who He is and who He will always be. As I gazed at the beautiful array of colors that arched as far as I could see, I felt like He was near. And I knew, that no matter what the future held for us, He promised His grace to bring us through. Grant and I kneeled together at the prayer bench and Grant took both my hands in his. 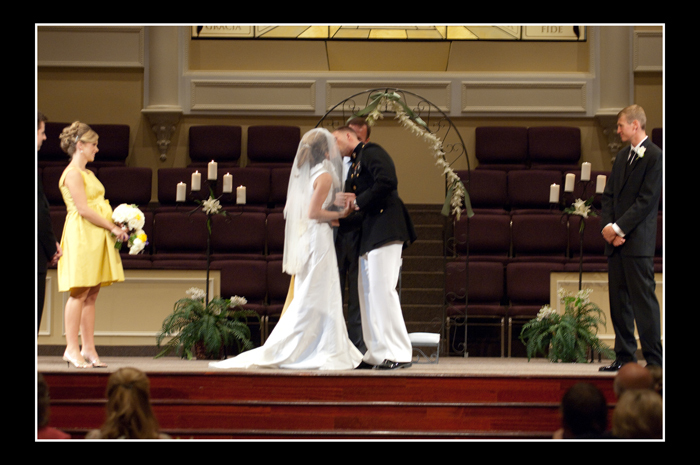 We had just made our vows to one another, and now we were starting the first few moments of our marriage in prayer. I heard my dad ask everyone to bow their heads in the presence of God. Grant and I closed our eyes as Keith Green’s, Make My Life a Prayer to You began to be sung by a family friend. Make my life a prayer to you, I want to do what You want me to, no empty words and no white lies, no token prayers, no compromise. I want to shine the light You gave, through Your Son You sent to save us, from our sin and our despair, it comforts me to know You’re really there…. Never had the words seem to ring more true and sincere as they did at that moment. As we kneeled there, I was so thankful that we had chosen this particular song for our first prayer. It was a song that God had used in both our lives. Grant had listened to this song over and over again in high school. The lyrics had meant a lot to him because they reminded him of his dad’s life. The writer of the song, Keith Green, also died in a plane crash. The interesting thing was that God had also used this song in my life during college. I can remember many times listening to it in my dorm room and it made such an impact on me that I wrote out the words in the front cover of my Bible as a prayer to the Lord. We both felt like the song represented how God had been shaping and molding us separately. That’s why we chose it. But now it was our prayer. Because God had brought us together not simply for our own companionship and joy, but so that we could join together in sharing Him with others and bringing Him glory. That is God’s ultimate purpose of marriage ~ to bring God greater glory than one could bring alone. We wanted that to be true of our marriage. I opened my eyes and looked up, and I found Grant staring at me. I want to die and let You give Your life to me so I might live, and share the hope you gave to me. I want to share the love that set me free. Even though the congregation was still present in the sanctuary, it felt like it was just the two of us before the Lord. As the song ended, my dad began to pray. He thanked God for the new family that had just begun. He also thanked God for answering Kelly, Susan, Preston, my mom, and his prayers. They had all prayed that God would bring us a godly spouse one day. And God had been faithful. A tear slipped down my cheek as I thought about what was happening. God had brought things amazingly full circle. He had taken the tragic death of Grant’s father years ago and brought yet another beautiful thing out of it. I couldn’t believe that the seventeen year old boy I had met in high school who was in town visiting his dad’s memorial, was now my husband. My husband! 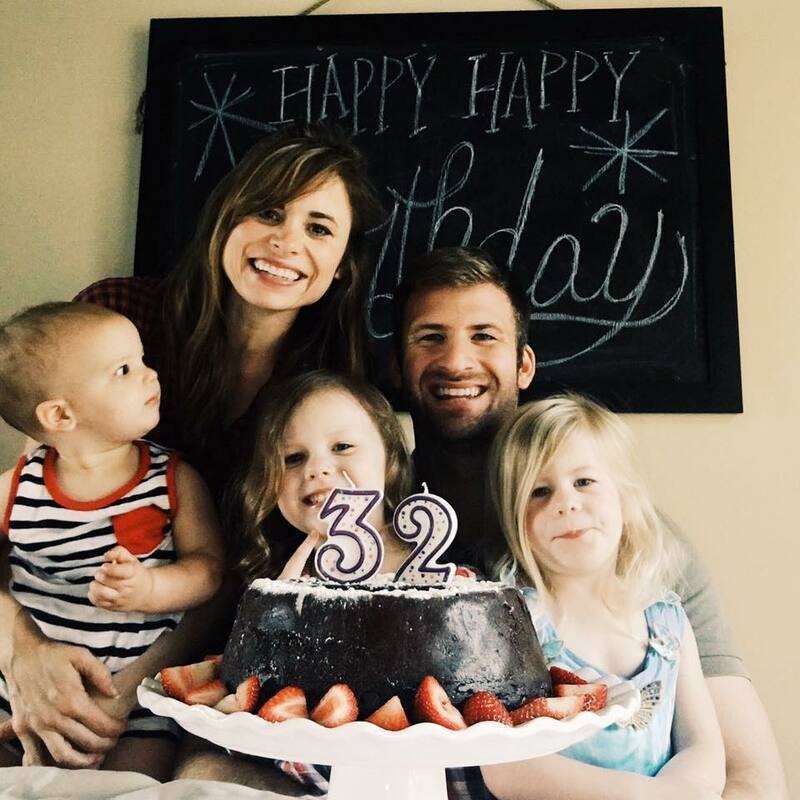 . . .And God, may You give GraceAnna and Grant a godly heritage that would love Christ and follow closely after Him. Help them to be examples to their children. And now Father, may you bless them and keep them. May you cause your face to shine upon them, be gracious to them, lift up their countenance and give them peace and may the grace of the Lord Jesus and the love of God and the fellowship of Jesus be with you all. Amen. 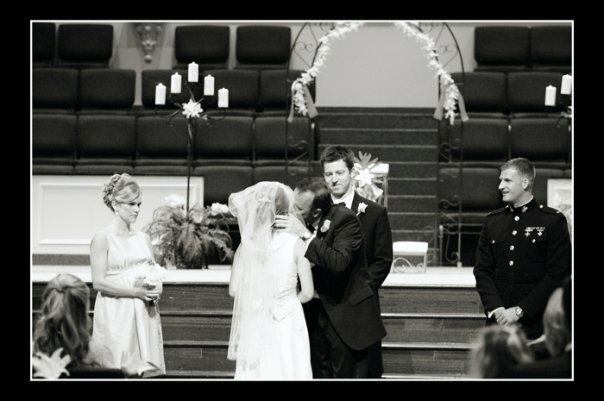 Grant and I stood and made our way back to the altar. I felt myself smiling as my excitement rose. This was it! We were married! As we stood, my dad faced us once again. “Now Grant,” my dad began with a huge smile on his face. Oh no! I thought to myself. What is he about to say? All the sudden, I got really nervous. All these people were watching us have our very first kiss! And not just our first kiss, but it was the first time I had ever been kissed. When I was a little girl, my parents had told me that I should save my first kiss for my future husband. There were times when I had thought this was a ridiculous request. Couldn’t I at least kiss when I got engaged?! But I had honored their wishes. And now, here I was. My mind began to race . . .what if something embarrassing happens? What if Grant misses? What if. . .
Before I could think another thought, Grant leaned in and kissed me gently. It was short and sweet, and the most wonderful thing I had ever felt. Yes, you read the title correctly. No, I’m not quitting writing Texas Heart . . . I actually FINISHED writing it! After 10 months, I finally finished writing the story that I thought was going to take just a few blogposts to write. I just want to say thank-you to those of you who encouraged me to keep writing and not give up! There were so many times that I almost stopped writing because I just didn’t know if it was interesting, or I felt like it was getting too long, or I didn’t know if the story was actually encouraging or beneficial to anyone. So, I really just want to thank those of you who encouraged me along the way to keep writing. I now have this story to share with AudreyKate and any future children Grant and I may have! And now I don’t have to worry about forgetting all the details because everything is written down. Check back for the final 2 posts of Texas Heart. My dad and I slowly approached the large wooden doors of the church sanctuary. I held on tightly to his arm as the beat of my own heart seemed to almost drown out the music that was resonating through the halls. Then, the music stopped as the last chord of Canon in D was played. I watched from the doorway as people begin to stand. They began turning their heads towards the back of the sanctuary. I think one of the reasons that a father walks his daughter down the aisle is not just because it’s symbolic, but also to make sure she makes it down the aisle. I know I couldn’t have made it down on my own. I heard the piano start to play the strong and thunderous chords of God of Our Fathers. Slowly, my dad and I stepped through the double doors. I felt my lip and chin begin to quiver as we aligned ourselves with the center aisle. Was I going to be able to do this? Grant looked tall and sharp in his Marine Corps uniform. His black shoes shined and his golden uniform buttons glimmered. But nothing could compare to the beam of his face when his eyes met mine. Grant had the biggest smile on his face that I had ever seen. He didn’t look nervous or apprehensive. He just looked happy. So happy. And now, I was smiling uncontrollably too. Suddenly, I could feel and see again. And I began to not only know how special and important this moment in our lives was, but I began to take it in. As my dad and I made our way down the long aisle, my eyes were fixated on one person alone: Grant Castleberry. As we reached the front of the church, the music stopped. For a long moment, there was dead silence as we stood there at the front of the church. It was almost as if time stood still as everyone held their breath and waited for what was about to take place. My dad lifted my veil and kissed me on the cheek. I couldn’t believe he was giving me away. As I stood there with the tears falling, my dad gently took my hand and led me to Grant. He placed my hand in Grant’s hand. I hadn’t expected my dad to do that, to lead me to Grant. It struck me as such a visible symbol of what was taking place. My dad had protected me and had taken care of me since I was a little girl, and now he was entrusting me to the protection of Grant. Grant grasped my hand tightly, and I found courage. Together, we climbed the stairs to the altar. “At the dawn of human history,” he proceeded, “God saw the need of a man for a woman, and a woman for a man. And after God had evaluated each dimension of His creation, six times over He said it was good. But then after He created Adam, He said it was not good. I listened to the words that my dad read from the creation account. And though I had heard them so many times before, it felt like I was hearing it for the very first time. I thought about the fact that marriage was God’s design from the beginning. It was His idea. And He was the One who performed the very first marriage ceremony. And God had designed me to be a “helper suitable” for Grant. We were equal, and yet, God had a special role for each of us. We bowed our heads as my dad thanked God for sovereignly bringing us together. My heart overflowed with gratitude to God, because I knew, that he had indeed brought Grant and I together. Our hearts joined in worship as we sang one of our favorite hymns, There is a Redeemer. My brother, Grant, read one of our favorite verses, John 7:37-39. Then my dad gave the most encouraging and challenging sermon about the seriousness of the commitment we were about to make to one another and the beauty of marriage as it reflects Christ and the church. First, my dad looked at me and charged me to be Grant’s helper and to submit to Grant’s leadership. He began to clarify the highly misunderstood term of “submission.” My dad explained that Jesus is our perfect example of submission. He is equal with the Father, and yet He submits to the Father. He went on to share that submission is necessary in every facet of society in order for it to function in a healthy way. Then, my dad turned to Grant. He charged him to be a “servant-leader.” He told Grant that his love for me was to be revealed in sacrificial leadership. He was to love me as his own body. My dad’s voice broke for a moment. I felt the tears rising again as I realized what a special moment this was. He then asked a series of questions to help us understand the passage. “Now with porcelain you can make a fine china cup and with stainless steel you can make a high quality hammer, but you can’t drink out of a hammer and you can’t drive nails with a cup. 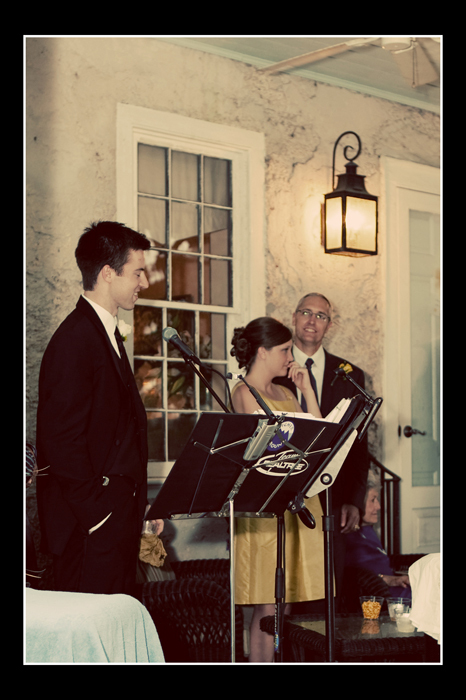 I had thought before the wedding, that I would probably be too nervous to really listen to my dad’s sermon. But I heard every word of my dad’s charge to us. It hadn’t been just a few short and sweet words about marriage, it had been a solemn challenge. As my dad closed his sermon, Grant took my hands in both of his. And he started to tell me, before God, and everyone present that he would always love me, that he would always take care of me through the good times and the bad, and that the only thing that would ever separate his commitment to me was death. Grant stared unflinchingly into my eyes as he spoke and I knew that he meant every word. I watched as he slipped the gold ring onto my finger. For a moment, the thought crossed my mind . . . Am I ready for this? I knew that there would be no going back. I was about to make a solemn vow before God to always love the man that stood in front of me until death separated us. This man, who just a year ago, had seemingly dropped out of nowhere. This man, who so naturally, had become my best friend. This man, who God had so clearly brought into my life. I took Grant’s hand in mine and stared into his eyes. God, this is it. I prayed silently. I promise to be committed to Grant until death separates us. Grant’s gaze was still fixated on me. And I began to promise him that I would love him, respect him, submit to him, and take care of him. I slipped the gold band that had once belonged to Grant’s father onto his finger. Light shone brightly through the slightly clouded glass of the small upstairs window in the old Pinckney Retreat plantation home. I could hear birds singing as I slowly awoke from the exhausted state of sleep I had been in. I abruptly sat up when I realized that it was my wedding day. I jumped out of bed and made my way over to the window eave. I couldn’t believe that the weather was so perfect. “It’s a beautiful day!” I exclaimed excitedly to my mom who was also just waking up. Neither of us could fall sleep the night before, so we had stayed up talking into the wee hours of the morning. Originally I had planned to stay the night with some of my bridesmaids, but in the end, it had worked out that it was just my mom and me. And I was glad for it. The week had been so busy with all the last minute wedding details that we had hardly had time to talk. It was a bittersweet time together. In a sense, I was saying good-bye to a certain aspect of our relationship. I was about to step into the role of Grant’s wife and move far away. Even though at times I wondered if I was prepared for what lay ahead of me, I knew my mom had been preparing me for this day for a long time. I stared out the window at the treetops that were slightly swaying in the marsh breeze. I had dreaded the thought of waking up to rain on my wedding day and I had half expected it to be dreary when I woke up. The weather had called for it, and I had been less than optimistic. But no matter how hard I tried, my hopes had been high for a clear day. It was my wedding day after all. “Thank you God for giving Grant and I this beautiful day! I pray that You would be honored today.” I whispered. I started gathering my things and getting ready to head to the church where I would get my hair and make-up done. I was filled with nervousness and excitement. By the end of the day, I would be a Castleberry. My mom tied the yellow satin sash around my waist and fastened the last buckle on my gold peep toe shoes. She stepped back and looked at me in the small church room where I had gotten dressed. I couldn’t believe I was wearing my wedding dress. “You look beautiful,” my mom said with tears in her eyes. I glanced into the mirror and felt my heart jump. Like most girls, I can usually find something in my reflection to regard as less than perfect. I loved the way two dear women from our church had fixed my hair and make-up. I loved the way my pearly barrette was tucked “just so” into my hair. I loved the way the tiny golden beads on my veil glistened in the sunlight that filtered in through the window. 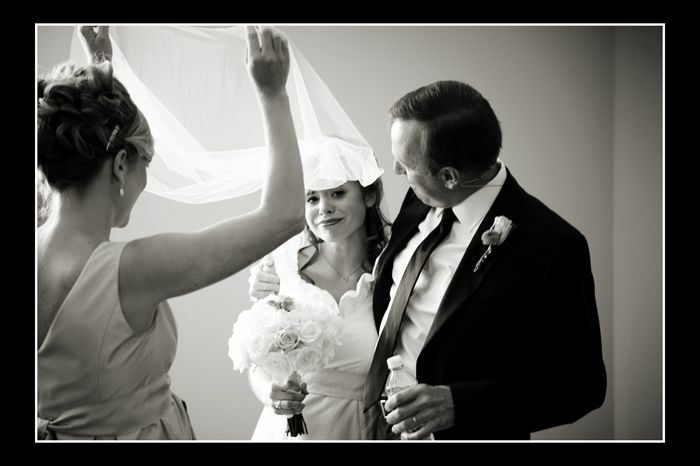 I loved that my wedding dress felt light and airy and looked so creamy white. I loved the way the bows on my golden peep-toe shoes slightly poked out from the hem of my dress. As I looked at my mom, my eyes brimmed with tears too. How in the world was I going to make it through the day? I was so excited, but I was nervous as well. I kept thinking about so many things. I thought about the first time Grant told me howdy and how he had flown all the way from Japan to see me. And now, this moment would also soon become a memory; a memory that would be a part of my life forever. “GraceAnna,” I heard my dad whisper. I turned at the sound of his voice and looked at him. The tears that were brimming in my eyes now started to fall, making a trail through my make-up. “You look beautiful, ” my dad said smiling. I could tell he was trying to hold back the tears too. I think my dad knew what I needed to hear at this moment in my life. I needed his encouragement. I needed to take a deep breath and still my knocking knees. I broke out in a smile as I thought about Grant. Soon to be my Grant. My dad stepped out of the room for a moment and my mom gathered the bridesmaids together for a word of prayer. When we were done, I no longer felt scared or nervous. Instead I felt excited. The bridesmaids filed out of the small room and toward the sanctuary. As we got closer, I could hear the music playing. I held on to my dad’s arm tightly and I could feel my heart pulsating through my entire body. This was the moment I had been waiting for. “What’s that?” Grant asked as he looked down at the cream colored envelope I held in my hands. Grant had just arrived at Pinckney Retreat, where my mom and I were staying the night on the eve of our wedding day. Even though it was late, I had asked Grant to meet me there. I had something I wanted to give him. I struggled to find words to answer Grant’s question. A flood of memories filled my mind as I thought about the envelope in my hand. I thought about my college dorm room where I spent so much time praying and thinking. I thought about my runs around the Clemson campus where I thought about my future and prayed for God’s will to be done in my life. I thought about the bench on the small hill in the Botanical Gardens where I sat and cried when I felt like nothing was working out in my life like I had hoped and planned. These were memories that I knew would be difficult to ever explain to Grant. These memories were interwoven into what I was about to give Grant. They were apart of who I was now. I glanced down at the envelope in my hands. It looked thick, but in fact, there were only five letters inside. Five letters that I had written to my future husband over the span of my four years in college. It was something I had started my freshman year after hearing about how my Bible study leader had started the practice. I was hesitant to do it. I worried that my “future husband” might think it was silly. I worried that I might not ever get married and that the letters would become a testament to an unfulfilled desire. But I had decided not to second-guess and over-analyze myself. I had decided in the Fall of 2004 to write a letter to the man that I hoped God had for me. Over the next three years I would write four more. They weren’t long. And they were more like prayer letters than anything else. Each time I had written one had been during a time when I was struggling with loneliness and the desire to get married. Just a few minutes before Grant had arrived to meet me at Pinckney, I had pulled out the most recent letter I had written and read through it. It was dated September 2007.
. . .I am praying for you tonight. I am praying you will find me! I want you to know that I will respect your leadership in my life. I will submit to you. I will encourage you. I will go with you wherever you feel God calling you. I can promise you these things because our God is able to give me the strength to do them. Waiting for you is hard, but also so good. God is growing me into the woman He desires me to be. . .When I write these letters, somehow its an expression of my faith in God for His best in my life. I never want to lose that trust. . .
As I scanned some of the other letters, it seemed that all along I had been writing to Grant. Be faithful, be bold, let Jesus Christ be glorified in you. I can’t wait to one day see all the great things God is doing in your life. Don’t worry, I’m not going to settle for anyone but you, even if it means I never meet you, even if it means that marriage isn’t God’s calling for me! Anyway, I am trusting God for His timing. I had folded the letters up and put them back in the envelope as I had waited for Grant to arrive. He was my future husband. He was the one that God had put on my heart to pray for during college. Grant’s smile widened as he reached for the envelope. I watched as he read each one. It felt kind of funny handing them over to him. What would he think? As I watched Grant read them, I realized that the letters themselves weren’t really that important. For the most part, they were just a young woman’s ramblings of her future hopes and dreams. But those five letters represented something. They represented an answered prayer. They represented to me a God who had placed a desire in my heart and fulfilled it. I smiled. I was so glad that he didn’t think they were silly. We sat on the edge of the brick porch for a while, seeing only the stars and moon and hearing random noises from the salt marsh. We were both tired, but we were so happy. We were on the cusp of something big. We sat there until the clock passed midnight and our wedding day dawned. As he walked away into the darkness, I listened to the sound of his cowboy boots thud against the old stone walkway. I listened until I heard his car door slam and the sound of his engine pull out of the drive. I sat there alone in the dark for a few more minutes. I went inside and climbed up the narrow wooden staircase that led upstairs. My mom was already in bed and I slid in next to her and tried to sleep. But the sleep wouldn’t come.